Our vinyl banner printing is full colour on our high quality machine. Full colour banners can be produced in any size to fit your message. There is a wide range of banner products suitable for many applications such as: outdoor vinyl banners, indoor banners, mesh banners, double sided and more. Go bold with your message on a custom created vinyl banner. 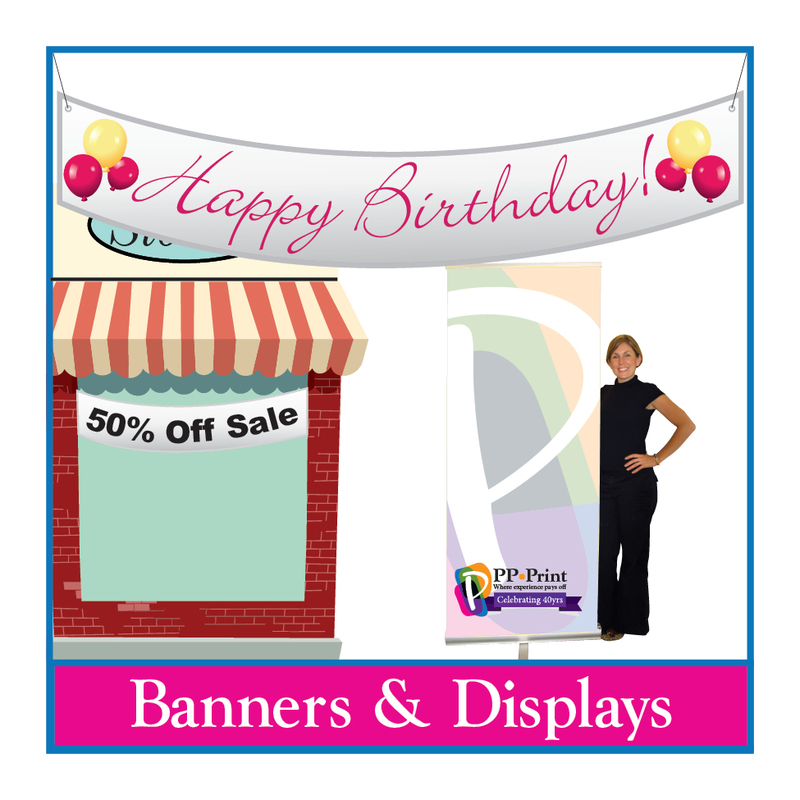 Banners are great for trade shows, events, store fronts, grand openings, special occasions, school events and more. The design opportunities are endless with today’s technology! Available up to 52” wide and as long as you need, you will have no shortage of space to get your message across. Our banners are durable and good for long term use. Banner displays are perfect to use for trade shows and showrooms. We offer multiple styles and colours and we guarantee they are easy to carry, store and assemble. In fact, most banners can be set up in less than 3 minutes! Our premium retractable banner stands are durable which makes them suited for busy marketing departments or organizations. You can bring them with you wherever you may go without the stress of taking great care of them. Whether you need one or several, we offer a value priced line that will suit your banner needs. Call us to discuss the options that are available. We have something to suit everyone’s needs.